I'm doing a bit of a quickie post today because it's Friday and I'm feeling L A Z Y! 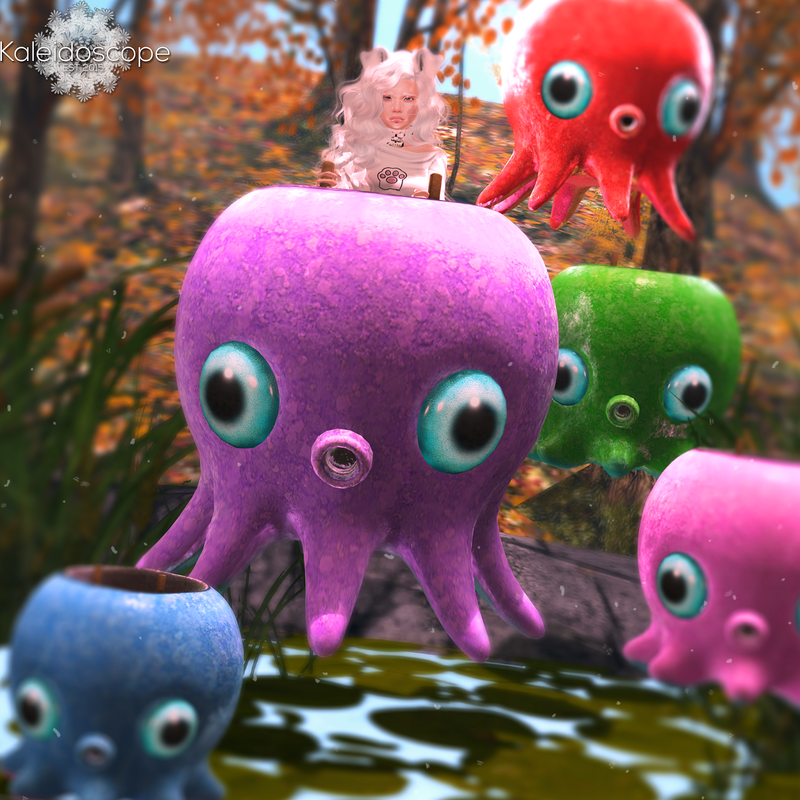 The focus of the blog today are these fabulously cute little Octofloofs available at the Culprit Mainstore. So go grab your little Octofloof! They're wearable and available in 6 colours, and if you peep the little gif I've done below, you can see the cute animation in them too! How cute is that stretchy animation?